The traditional CDN business model is built around charging companies per byte delivered. The more you send, the more you pay. Consequently, CDNs have NO INTEREST in making your payload smaller or smarter. Images make up 64% of payload on most websites. Optimizing images breaks the CDN business model. That would be like Big Oil companies encouraging you to buy a solar car. 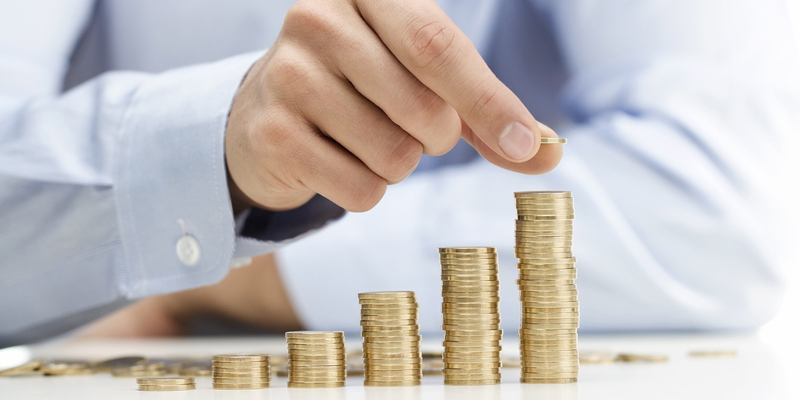 It takes a newcomer with no vested interest to disrupt the traditional CDN pricing model. 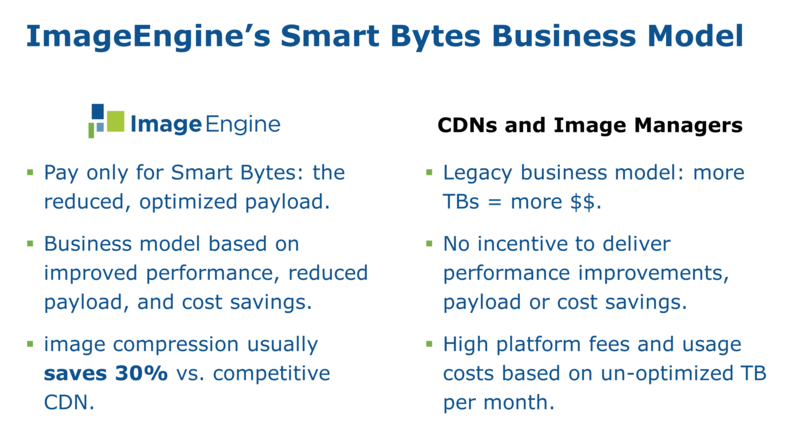 A newcomer like ImageEngine, the Smart Bytes CDN. The result is a Smart Bytes image payload that is at least 60% smaller. Compare this to what you would pay on your old CDN. The savings are big. With ImageEngine you only pay for performance and a better experience, not a bloated payload. We are so confident that you will see performance and payload savings that we offer the Smart Bytes Promise: If you don’t see more than 40% payload savings versus you original, unoptimized payload, then we will give you 3 months of free ImageEngine service.